Have a question you'd like to see me answer just for you in a video? 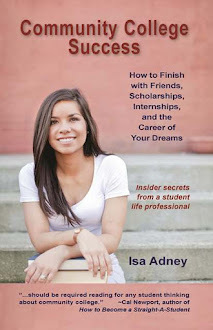 Ask it in the comments, tweet it to @IsaAdney, or send me an e-mail at isa@isaadney.com! The student featured in this video is struggling with procrastination and isn't sure if he should buy a computer for college.